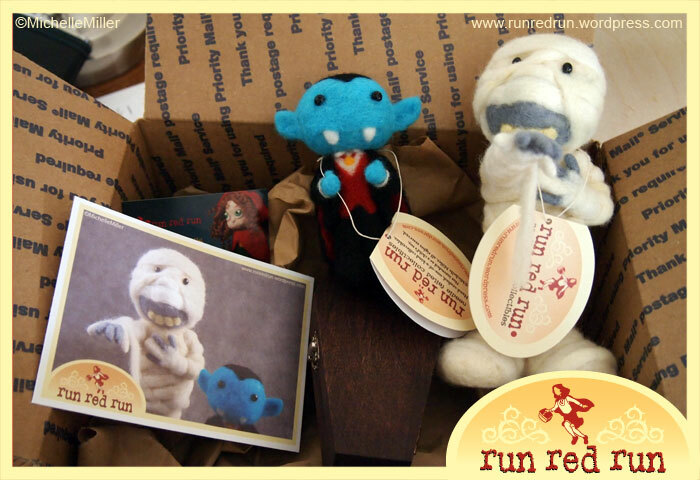 Three Needle Felted Monsters Sold In One Week! Some of my little felt monsters have escaped! 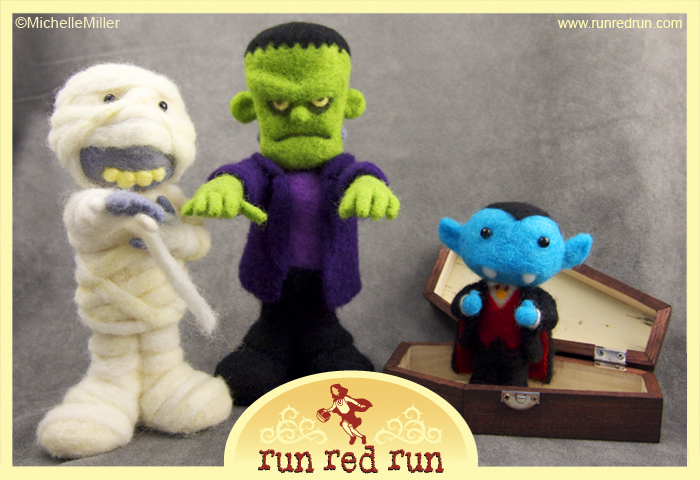 The Mummy, Vampire, and Frankenstein are all going to terrorize new homes! As is always the case, while making these creatures I fell in love with them. It’s a little difficult to see them go, but I’m so excited to see them headed off to new adventures with new families. These guys made me smile, I hope they do the same for the new owners. A big thank you goes out to the buyers… and a special thanks to SpookyTime Jingles for hosting the sale!